Kicking off Sunborn Rising: Beneath the Fall Tour! 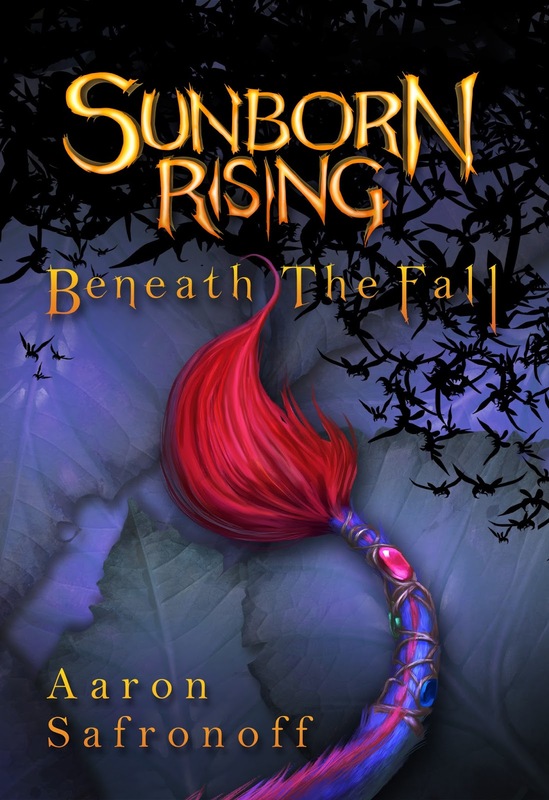 Today we kick off the virtual book tour for Sunborn Rising: Beneath the Fall by Aaron Saffonoff. My son Alessio and I are excited to be reading the book and our review will be posted later this month. 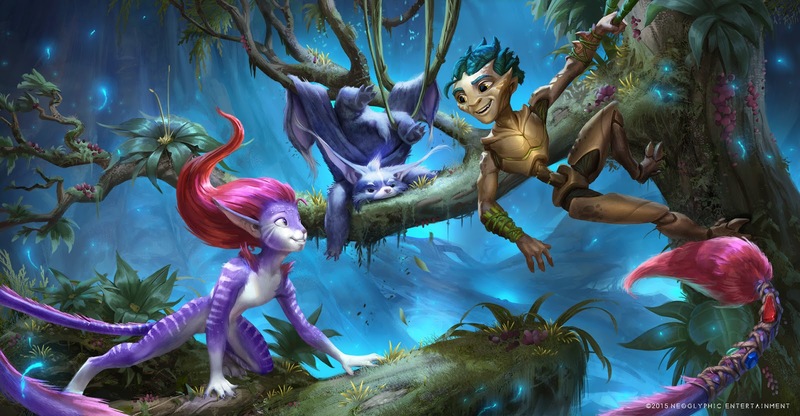 We had the opportunity to interview the author, so read on to find out more about this beautiful fantasy book for middle-graders! 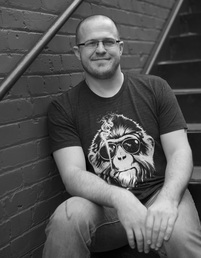 Read our fun interview with the author and enter the giveaway to win some awesome prizes! Aaron: Hello, Laura! Thank you for organizing this tour and for hosting the first stop at your Library of Clean Reads. The launch success, and the Into the Pixel award still have me over the moon. I’ll do my best to stay focused for you and your son’s questions :-P .
Laura: How would you describe your book in 20 words or less? Aaron: A spirited girl carries the light left by her late father into the darkness to reignite her unique world. Laura: As a parent, I'm always on the lookout for intelligent books in children's literature. There aren't many middle grade series that include interactive reading and video games. Do you feel that this is a good way to reach reluctant readers, especially reluctant boy readers? Alessio: The book's illustrations are super cool. Are you or will you be selling any posters of artwork, 3D character figurines or plush toys? Aaron: I’m so stoked that you like the illustrations! Me too :-P . We’re absolutely looking into all the ways the audience can share in the world of Cerulean, and that includes 3D characters, and plushies, and the like. The artists in the office already 3D-printed a model of Barra! Crazy cool stuff. People have requested a Plicks plushy since sneak-peeks began a couple of years ago. When we figure it all out, our website, sunbornrising.com, will have all the information. Laura and Alessio: How did you come up with the world of Cerulean? Aaron: I wish I could tell you exactly how, but in my experience of creativity, I cannot create and simultaneously observe the process while it’s in progress. The best I can do is guess in retrospect. In some ways, the way the tectonic plates of Earth float on oceans of liquid magma must have played a role, but also, it just sounded cool to consider a heliocentric planet of water and trees — a great place to create fantasy creatures! Alessio: Will there ever be a movie or a TV series made from the Sunborn Rising books, just like the Silverwing animated series by Kenneth Oppel? Aaron: I’m not familiar with Silverwing, but looking it up now, I’d certainly feel proud to be in similar company some day soon. I can tell you that we already have Barra modeled and animated thanks to the extraordinary team at Neoglyphic. Fingers-crossed it all goes well, and there continues to be interest in the world of Sunborn Rising. We’re certainly pursuing episodic content as well as feature length film opportunities. Laura and Alessio: Who was the character that was the hardest to create? The most fun? Aaron: Creating Tory presented the most difficult obstacles in terms of description. He morphed physically several times, and although I still think of him somewhat differently than he turned out, I’m excited for his continued development. Fizzit makes me happy whenever I think of him, and he’s still the most fun character for me to inhabit/channel when writing. Alessio: What was your favorite book as a boy? Aaron: I can only pick one? :-P I don’t remember what my favorite was back then, but looking back today, I think of Many Waters by Madeleine L’engle. I honestly believe I fell in love for the first time in that story. Laura and Alessio: Why did you choose to make your main character female? Aaron: Barra just is. Didn’t occur to me to make her male or female. She was the character I knew would be capable of challenging her society’s views of her world. I never considered anyone else for the part :-P . She exemplifies the characteristics I value most in people: a willingness to try, explore, and question. She has a kind of fearlessness that will someday allow her to truly know herself, and that makes her both vulnerable and powerful, and I treasure that in her. Alessio: Are you considering producing an animated short of one of your scenes in the book? For example, like one of these shorts from a video game called Overwatch: Alive and Dragons. Aaron: OMG. First. I’m a HUGE Overwatch fan. Genji is bae! The animated shorts released with the game so far have been impressive, and set a high bar for anyone wanting to expand story and characters for any modern franchise. We are indeed working on animated shorts for Sunborn Rising, and the team recognizes the quality the audience expects, and we endeavor to impress. Wish us luck! Laura and Alessio: What are you currently reading? Or what was the last good book you just read? A: I am currently reading, this census-taker, by China Miéville and I love it. I’m a huge fan of the author, and weird fiction — the name given to his style and others like it. I’d highly recommend his novel, Railsea. Laura and Alessio: What is your favorite dessert? Aaron: Oh man. Tough call. Chocolate mousse. I make it myself, and I’m my own toughest critic, and it’s spectacular! :-P Seriously. It’s really good. In another interview, I may have said cake. Probably depends on whichever I’ve had last; I crave whichever I haven’t had in awhile. Laura and Alessio: What is the funniest thing that's ever happened to you? The scariest? Aaron: Funny strange or funny haha? How about both? I clipped my hair randomly to make myself look mangy for professional company photographs. I tried to start a trend, but it didn’t take off. The scariest moment was when I broke my neck in a roofing accident. I didn’t know I’d broken my neck at the time, and I rolled around on the ground, pounding my arms against the grass trying to put the fire out, but it was only my nervous system exploding. I have a titanium plate in my neck now, but otherwise, I’m fine. Well, physically, I’m fine :-P .
Laura and Alessio: Thank you for visiting our blog Aaron! We look forward to reading Book 2 in the Sunborn Rising series. Aaron: Thank you for having me. It’s been a blast, and I can’t wait to get Book 2 into your hands. Cheers! Laura and Alessio: We look forward to reading it too! Neoglyphic Entertainment was honored to have their art recognized as some of the best in the games/interactive industry. Into the Pixel is a major art award for the gaming industry and their piece titled “A Mother’s Imperative” was selected as a winner. It’s a huge moment for this small company to be named with such iconic titles and studios as Riot's League of Legends and Ubisoft's Far Cry Primal. In Neoglyphic's game Rush Blast, you play as a Rush delivering packages and flying through the great trees of Cerulean. "A Mother’s Imperative" shows the big branches that are the pathwoods the Arboreals traverse to move through their trees, and the basis for the Rush Blast environment. Dens like Barra’s, pictured in this image, are some of the destinations of the messengers in the world of Cerulean. Thank you again for the wonderful interview :-P .
Thank you! So nice to hear it. Thank you so much for starting off the tour so brilliantly! We are so excited to see all the stops! We especially love supporting kid lit on our blog, and we are super excited about Sunborn Rising!